Gettysburg, Pennsylvania is not a destination that was on my USA bucket list. I definitely knew there were interesting things to do in Gettysburg PA, but my outdoor adventure mind is more pointed towards hikes, bike rides and kayaking adventures. 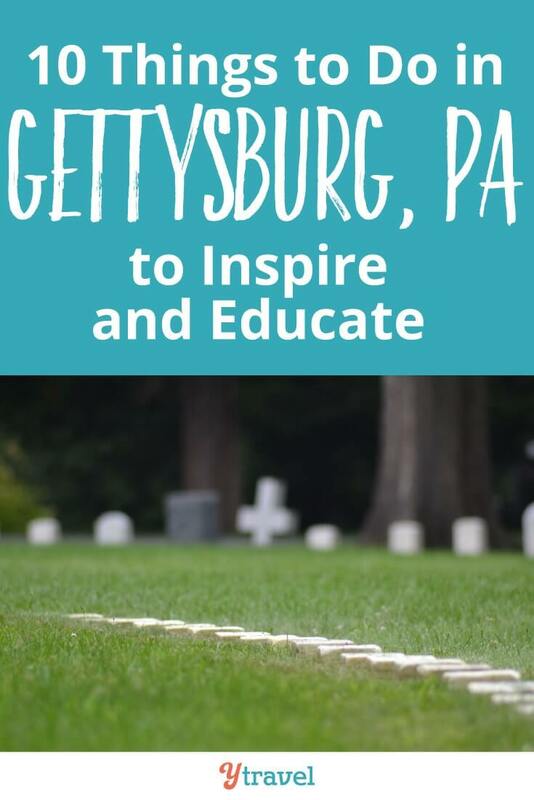 But, as I grew up hearing about the heroes of Gettysburg from my Dad and we were passing through it on our way from Lake Lure to New York City, I penciled it into our multi-generational family road trip itinerary. It ended up being one of my favorite destinations on the trip. I was so surprised by how much I enjoyed this quaint Pennsylvania country town, but also how much I got personally from experiencing the history of the Gettysburg battle. It’s the places that help our soul evolve that we remember most. 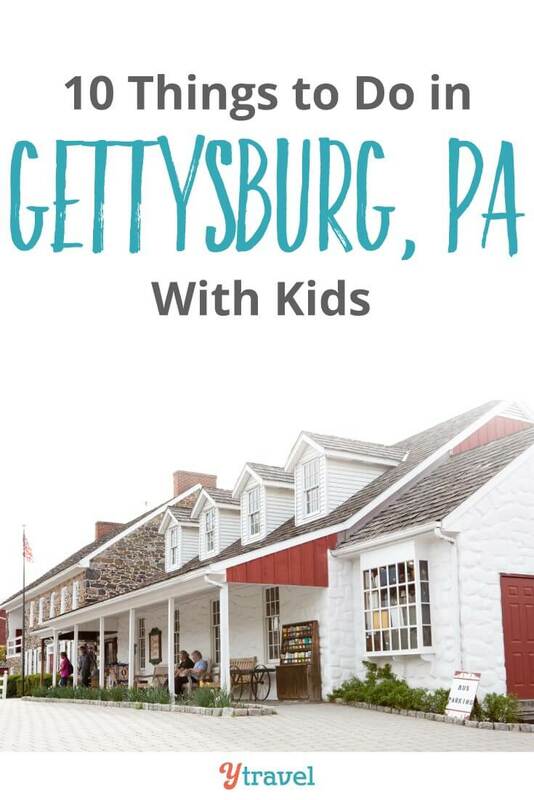 Gettysburg, PA is one of the most patriotic destinations in America and a wonderful place for you to immerse yourself, and the kids, in history. 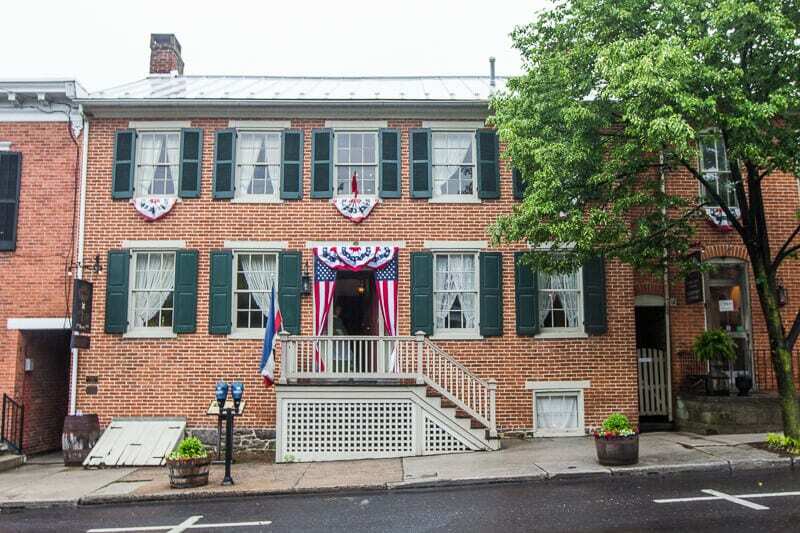 Not just Civil War history, but the area’s connection to two American Presidents – Abraham Lincoln and his famous Gettysburg address, and Dwight Eisenhower who’s home is now a museum the Eisenhower National Historic Site dedicated to his life in Gettysburg. Gettysburg and Adams County, where it is situated, is picture perfect Pennsylvania rolling countryside. This means there is plenty for my outdoor loving mind to enjoy. 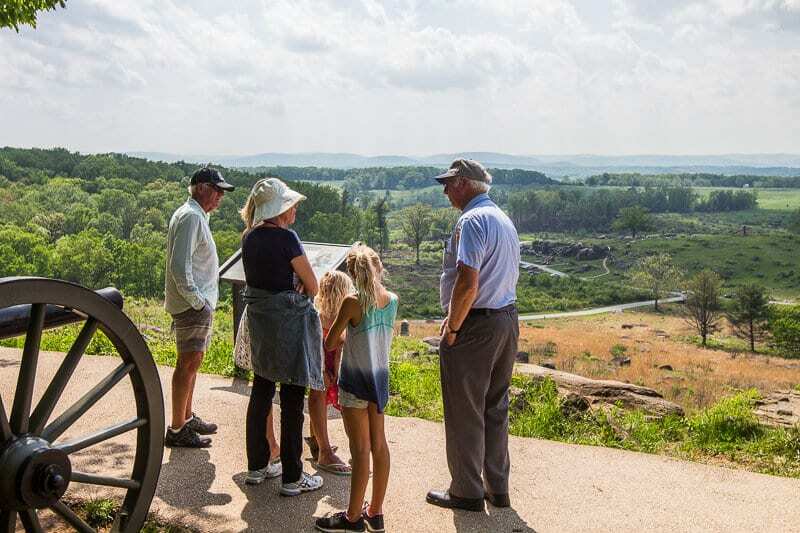 From culinary experiences, wineries and breweries, and outdoor adventures to arts festivals and food tours, there is so many more great things to do in Gettysburg that don’t involve battle fields, museums and tours. 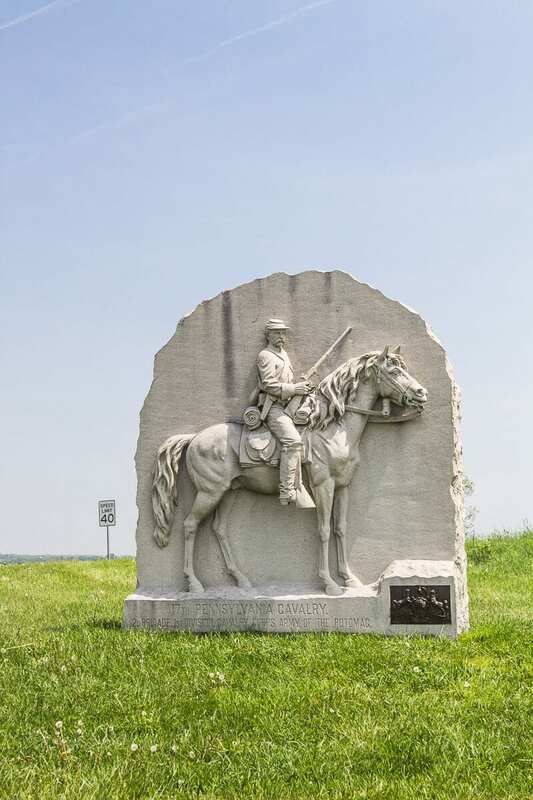 We only had a short stay, so didn’t get to experience too much; it was more about exploring the Gettysburg battlefield and living a little Civil War History. We’d love to come back to diver deeper into the local flavors of the destination. (Sadly, we lost most of our photos on our failed external hard drive. Many thanks to Destination Gettysburg for supplying some images where needed). Gettysburg Battlefield in Pennsylvania, where a three-day Civil War battle in 1863 took the lives of 51,000 people, is now the Gettysburg National Military Park. What happened in Gettysburg over 150 years ago was very important to the final outcome of the Civil War. 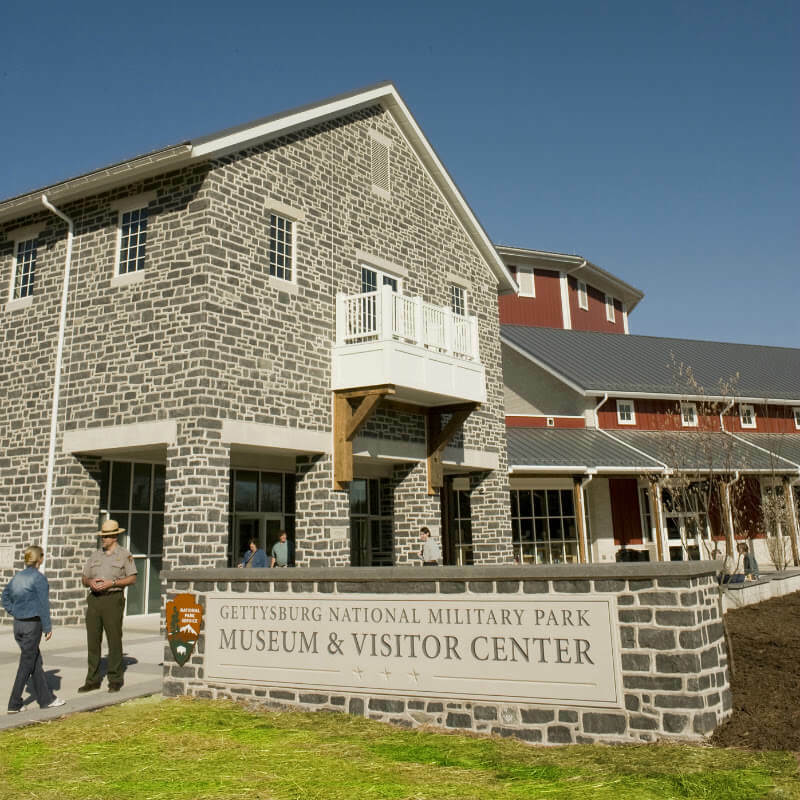 The best place to start your trip to Gettysburg is at the Museum and Visitor Center at Gettysburg Military Park. I recommend visiting here before doing the Battlefield tour so you have a good grasp of how the battle started and why and how it affected all those involved, soldiers and civilians. This is a popular Gettysburg attraction so it can get busy and leave yourself plenty of time. We ran out of time and only got about 2/3 of the way through the museum galleries, which we found informative and fascinating. In the museum’s 11 galleries, you’ll see artifacts and displays about the battle, the war, and its aftermath, as well as interactive exhibits and theaters with videos and voice accounts by military leaders, common soldiers, and civilians. The Museum experience begins with a film narrated by Morgan Freedom which gives a fantastic overview of the Civil War and Gettysburg battle. A highlight of the museum is the Battle of Gettysburg Cyclorama, painted in the late 1880s by the French artist Paul Philippoteaux. 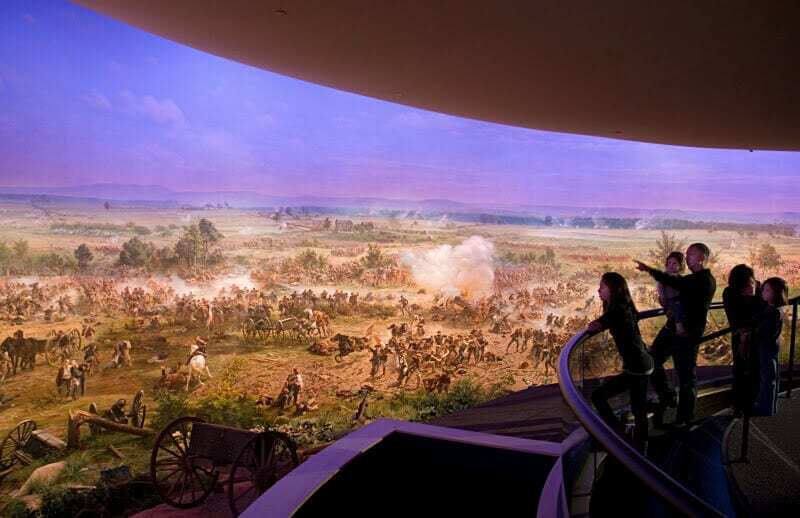 The cyclorama within the Museum is the largest oil painting in North America and tells the story of the infamous Pickett’s Charge that ended the Battle of Gettysburg. The painting wraps around the room and shares intricate details of the parts of the battle, the charges the cannon fire, the deaths all of which is simulated with sounds and light effects. I teared up feeling that battle and thinking of all those young men walking to almost certain death. It’s well that war is so terrible – so we don’t grow too fond of it. Gettysburg moved and inspired me more than I realized. I wrote more about it in this post. 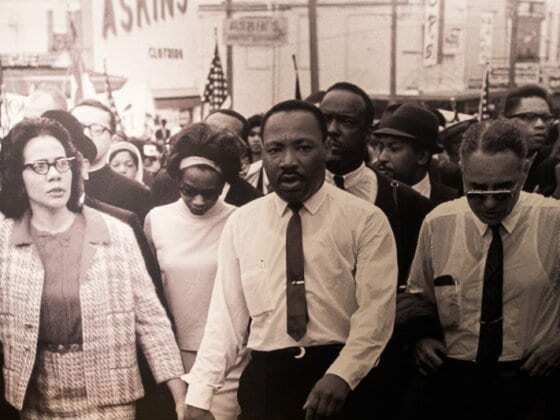 We travel to learn, reflect, and understand people and events in our past so that we may create better futures. Gettysburg is one of those transformative places. Even though during the Civil War it was a place of horror and death, it’s now a memorial to the spirit of peace, unity, and togetherness. Out of that bloodshed, the seeds for a better way were planted. It’s a fascinating story in a beautiful landscape that has an ethereal spiritual peace about it. It was one of the highlight on our Dallas to Boston road trip, and of our American unplugged journey so far. Touring the Gettysburg Battlefield is a half to full day experience, depending on how deep you want to go. There are 1,400 monuments and statues places around the battlefields. Most of these monuments have been placed where the particular units fought, with small square stones indicating the lines of the unit’s formation. This helps you to piece together the different parts of the battle over the three days and just how many men were involved. Previous to 1886, only Union Monuments were allowed such was the bitterness over this horrendous war. Now there are monuments to commemorate both armies and unite those once divided. As Lincoln reminded us – so they did not die in vain. 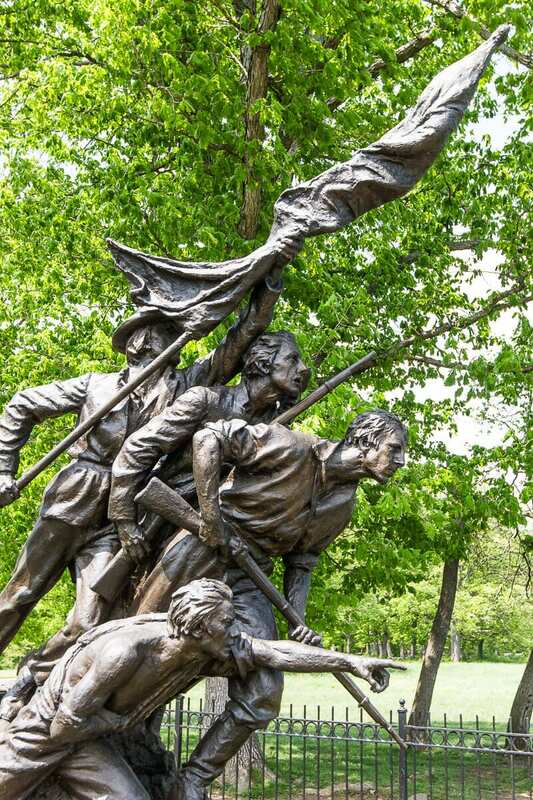 The North Carolina Memorial, depicting five soldiers advancing in Pickett’s Charge, is said to be similar to Iwo Jima and so is a popular memorial to visit. 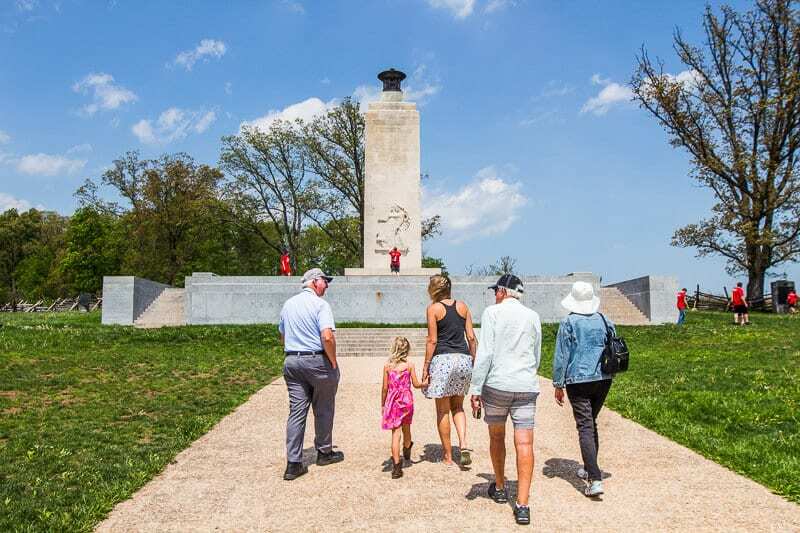 The Pennsylvania Memorial, is the largest and most complex of the park’s monuments and the only memorial recording the names of all the soldiers from the state who fought at Gettysburg. 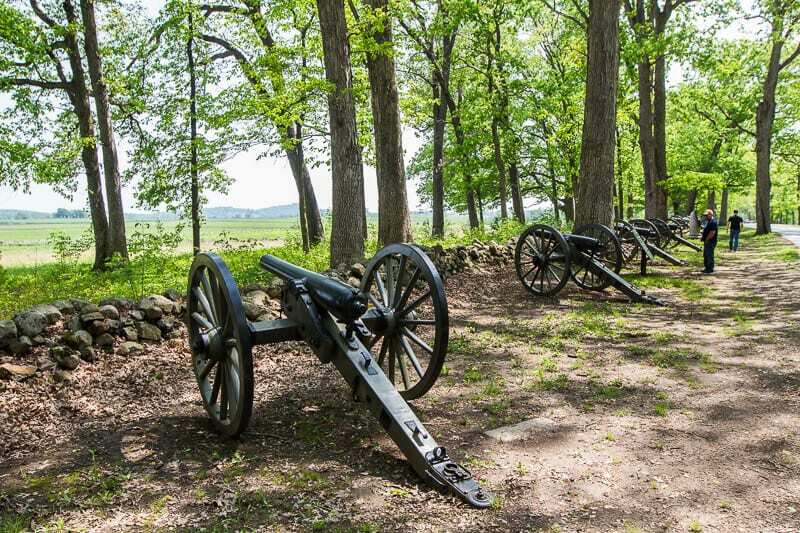 We recommend a Gettysburg auto tour with licensed battlefield guide as the best way to visit the Gettysburg Battlefields. 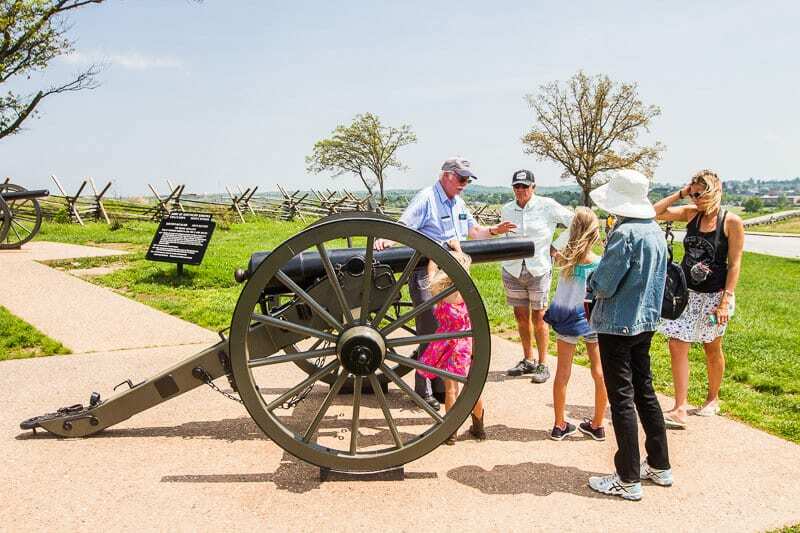 A Licensed Battlefield Guide will drive your car to points of interest around the battlefield sharing facts and interesting stories of generals, soldiers and townspeople. Our guide had over 30 years of experiences and was a wealth of knowledge. He really brought it to life for us and helped us to understand what Union and Confederate soldiers, and the local people went through. I loved standing on top of Little Round Top and seeing the battlefield stretched out before us and imagining the chaos happening all around. It’s amazing how peaceful and beautiful it is now. Alternatively, you can do a self guided driving tour to the various sites. You’ll miss a good deal of the stories which help give you a better understanding and feel for what happened here if you guide yourself. There are also bus tours of the battlefield, guided bike tours of the battlefield or Segway or GettyPed guided tour. Each July, on the anniversary of the battle (July 1-3), a Gettysburg Civil War Reenactment happens. Re-enactors in authentic uniforms take on the roles of those who fought here, from generals to common foot soldiers, firing cannons and authentic weapons. It’s meant to be quite the experience. A popular scenic and historic bridge we missed is the red Sachs Bridge, a 100-foot-long covered bridge spanning Marsh Creek. During the Civil War, the bridge was used by both the Union and Confederate Armies. It was a major escape route for the Confederate army as it retreated to Virginia after the Battle of Gettysburg. It’s a pedestrian only bridge. 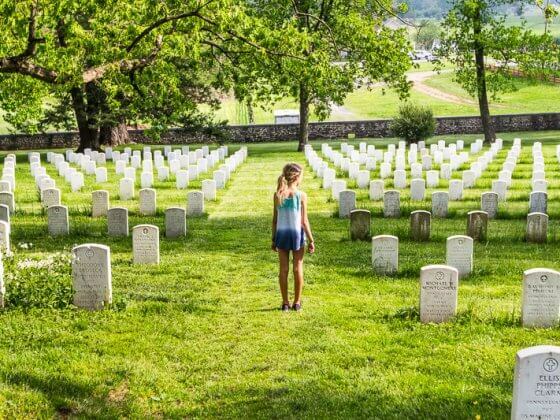 The soldier’s National Cemetery is the first of the USA’s National Cemeteries and famous as the site where Abraham Lincoln delivered his famous Gettysburg address. 3,500 Union soldiers who died at Gettysburg are resting here in graves arranged in a wide semi circle radiating out from the Soldier’s National Monument. 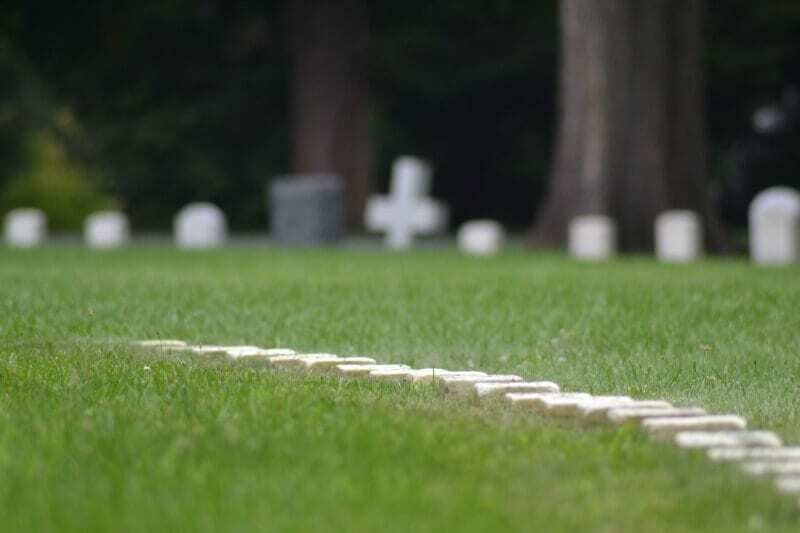 Even after careful examinations of bodies and anything else that could be used to identify them, half of the Gettysburg soldiers buried in the National Cemetery are unknown. It really brings to light just how catastrophic the Battle of Gettysburg was. 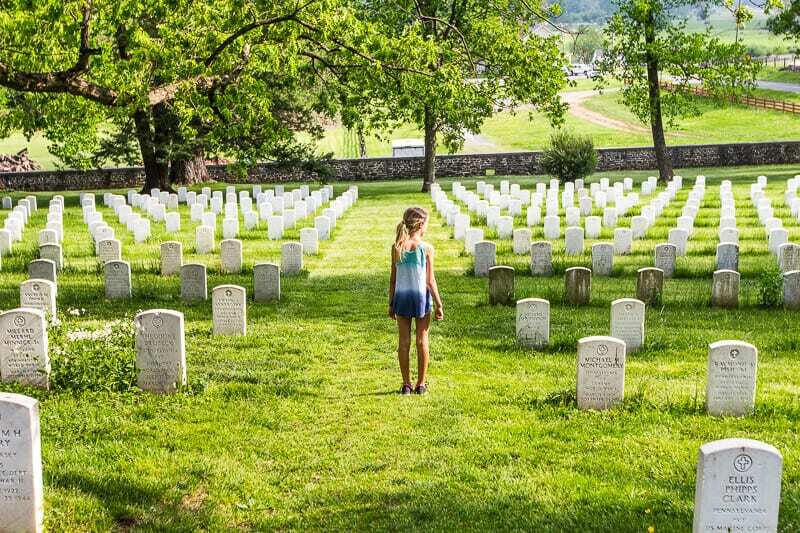 There is also a 3,307 post Civil-War burials in the National Cemetery containing the remains of American soldiers and their dependents from the Civil War through to Vietnam. Upon walking in, the Lincoln Speech Monument has the words of the infamous Gettysburg address and is worth reflecting on. 20,000 people gathered for National Cemetery dedication to hear Lincoln remind them of the Founding Fathers declaration of liberty and equality. 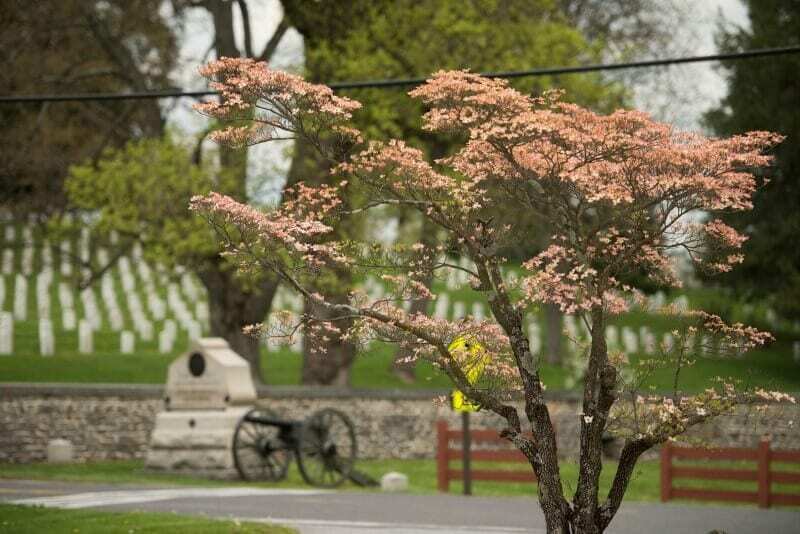 A walking tour takes you through five main spots in the National Cemetery and takes about 40 minutes. The tour stops are marked but you can pick up a walking tour map from the visitor Center to guide you. The events of Gettysburg did not just happen on the battlefields and impact only those fighting. 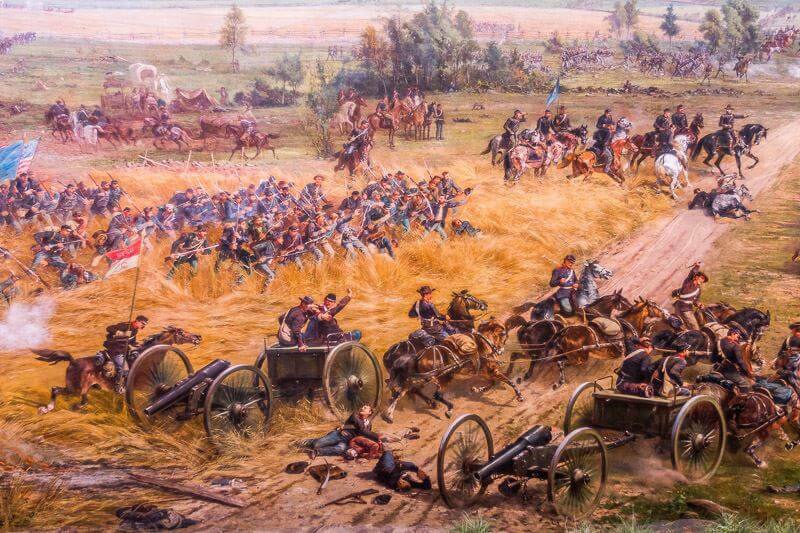 This battle raged across Gettysburg town, a small town of 2,400 people. 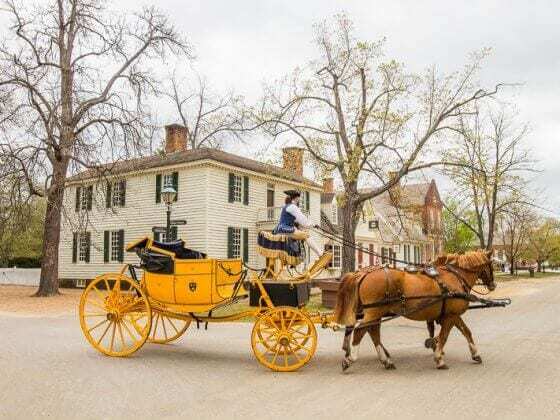 It’s important on your visit to Gettysburg, that you don’t forget to learn about what happened to the townspeople on the streets of Gettysburg. The Shriver House Museum gives a wonderful insight into what happened in the home owned by one of the wealthiest in town and was occupied by Confederate Sharpshooters during the battle. We were taken through the restored 1860 home of the Shriver family by a costume interpreter who was engaging and informative. She brought to life the world of the Shriver family and pain the townspeople went through during the battle. Upstairs is the sharpshooters nest, which has been restored to show how it looked when confederate soldiers knocked two holes through its brick wall to fire at Union troops on nearby Cemetery Hill. We saw how one of them was killed and then the destruction they left behind in the house. Although the confederate soldiers did not kill any residents when taking over their houses, they certainly took and destroyed a lot of things – they were the enemy after all. This was a fabulous tour which helped us to see the story from the perspective of the people who lived in Gettysburg and the mess they were left with to clean up. You can also tour the Jennie Wade House and hear the story of the only civilian killed in the three-day battle at Gettysburg. 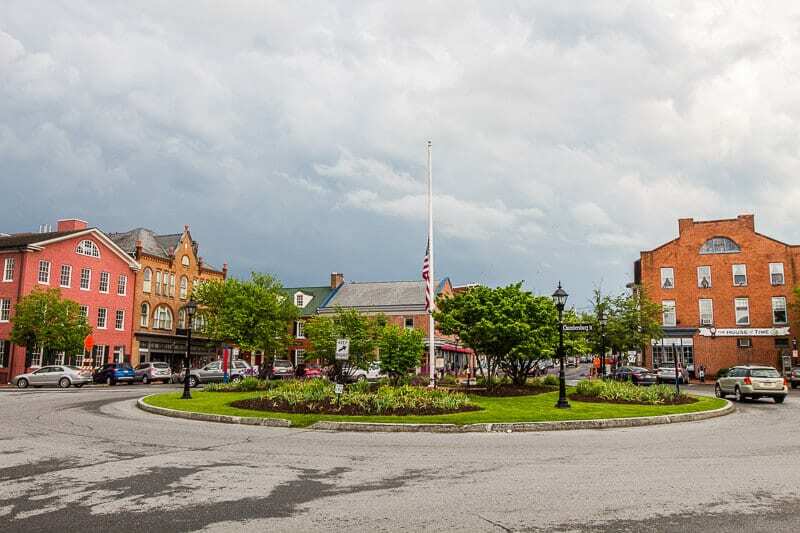 Downtown Gettysburg has a charming American Main Street lined with a variety of shops, boutiques, cafes and restaurants and leading right up to historic Lincoln Square. Many of the stores in Gettysburg sell Civil War memorabilia and artifacts. Others are gifts shops that specialize in related themes such as folk art and Americana. There are many historic buildings, many of which tell the story of the Gettysburg battle with bullet holes still present in the brick walls. You’ll find good homemade ice cream at Mr G’s. There is a pretty garden you can sit in and watch the Gettysburg life roll by. On Lincoln Square is The David Willis House where Lincoln stayed the night before delivering the Gettysburg Address and prepared his famous speech. 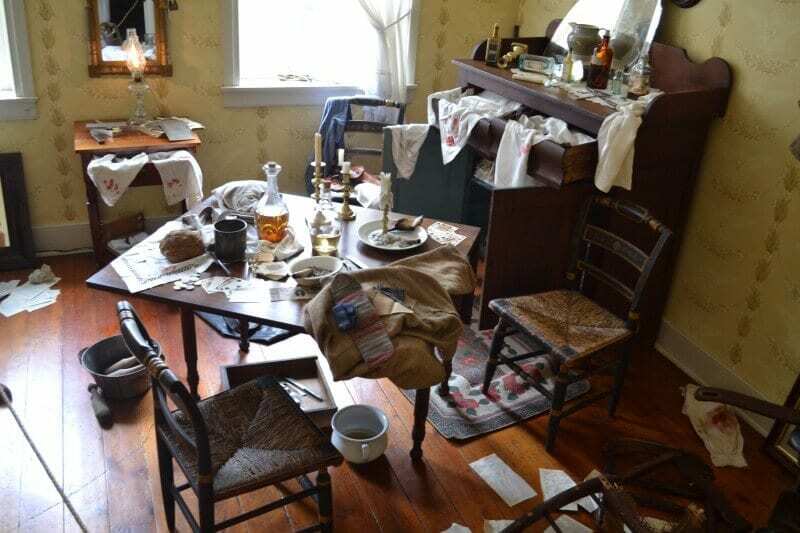 The Wills House Museum illustrates life in Gettysburg after the battle and how local people were left with the tasks of cleanup and caring for the wounded. If you don’t visit the inside, you can get a photo with a Lincoln statue out the front. Ghost tours are one of the most popular things to do in Gettysburg PA. It is known to be the most haunted place in America, and with good reason. Unfortunately we did not notice any spooky specters, but we did not have time to do a ghost tour. Kalyra was so very keen to experience it. She was probably the only one in our group who would go with me. 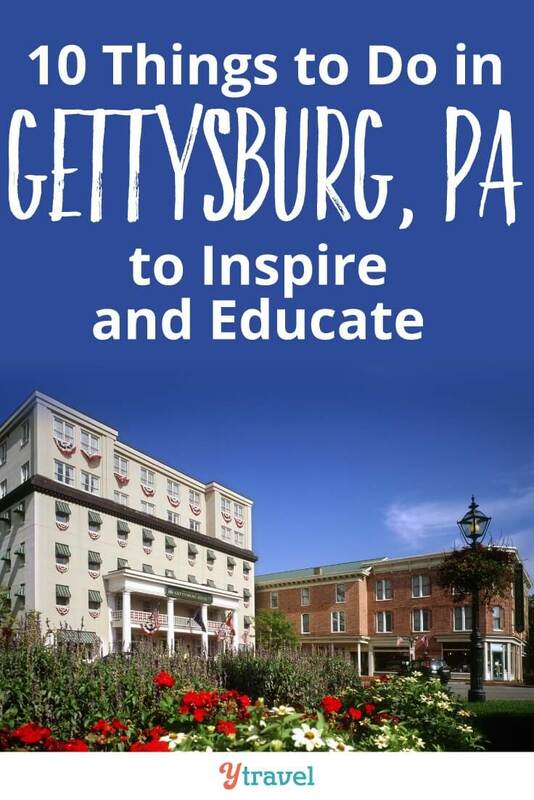 It’s definitely on our list of things to do in Gettysburg, PA when we return. Walk down the main street of Gettysburg and you’ll find many ghost walking tours advertised and happening! You’ll love seeing the guides dressed in period costume and the looks of anticipation and fear on the faces of those following along. Some are more involved than others, so if going out in the night with energy reading gear is your thing, there’s a tour for you. Visit the haunted spots through town and learn a history tidbit or two along the way. And who knows, you might spot a ghost! With the surrounding farmland of Adams County, Gettysburg is becoming quite the culinary destination and notable craft brew and cider (hello Apple Country) is on the rise. We didn’t get much time to dive into these modern culinary delights, but here are the restaurants and cafes we did experience. Eat, drink and be merry at an authentic colonial tavern known to be one of the best restaurants in Gettysburg . Dobbin House Tavern is the oldest standing structure in Gettysburg and is listed on the National Register of Historic Places. This Gettysburg attraction is not just a delicious meal but a step back into charming colonial times. It also served as a hospital for wounded soldiers of both the North and the South. Today it is a restaurant, colonial tavern, ballroom, store and Inn. 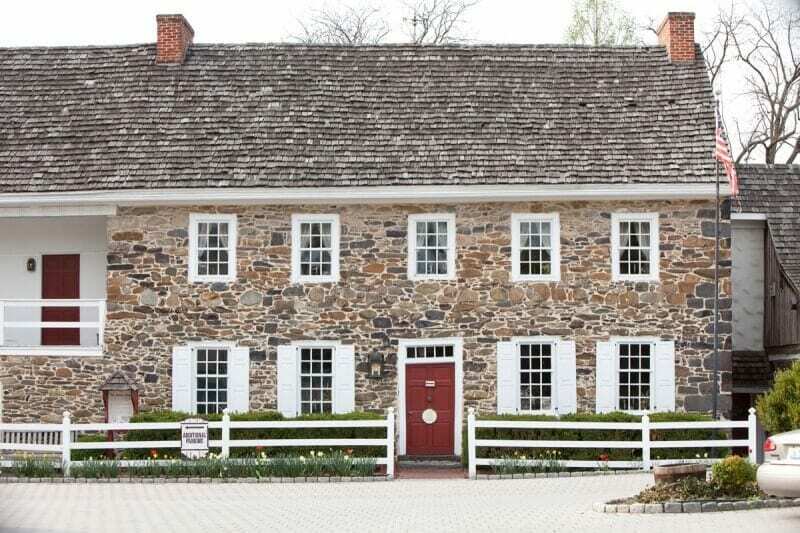 Today the historic house appears virtually the same as it did over 200 years ago. Its native stone walls, seven fireplaces, and hand carved woodwork have been painstakingly restored to their original beauty and character, with interior décor in the traditional eighteenth century manner. The wait staff wear period costume and are very attentive. 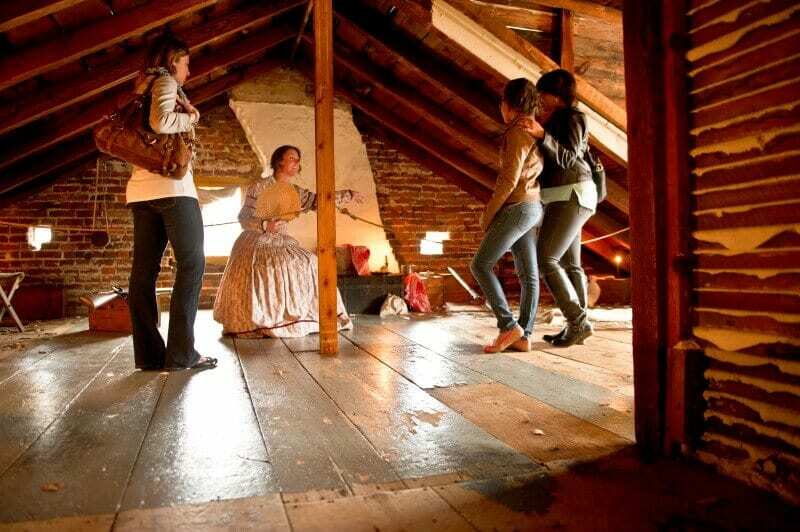 You can roam around the rooms to glimpse life as it was once in the parlor, library and secret Underground Railroad room. The homemade colonial bread is absolutely delicious. Every table gets a huge basket upon ordering. I’m gluten free, but sneaked a couple of bites it was so irresistible. It may take you awhile to order as you read through the Olde English style menu, not just for the unusual spelling styles but the unique dishes. Our mains were equally delicious: roast duck with Adam’s Apples and hard cider. Served with cider sauce and citrus herbs!! I like Colonial style. Kalyra loved the fact that Dobbin House is meant to be one of the most haunted places in Gettysburg. She eagerly did her Google research on the haunted stories and spent the entire time at dinner, writing secret notes to the ghosts to come out and say hello! I told her to add a P.S. Make sure you say hi to Mum too! 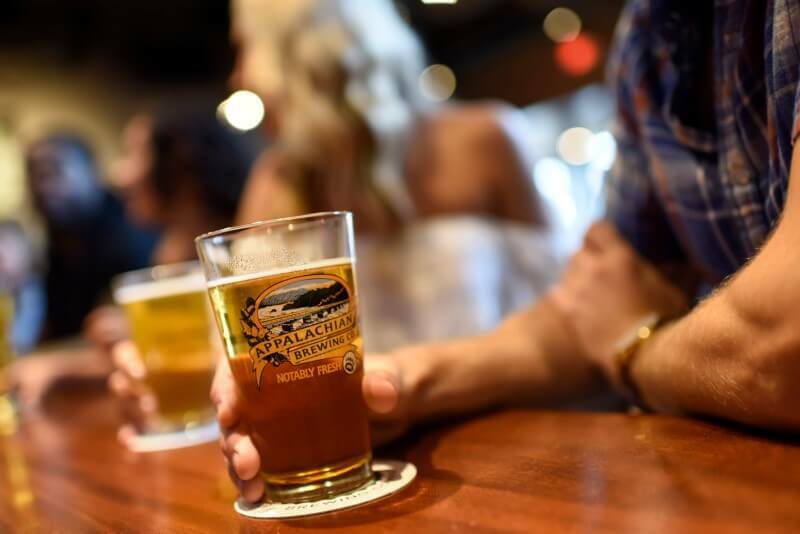 Housed in an abandoned 100 year old building, the Appalachian Brewing Co have been doing since 1997, long before craft brewing it became trendy. 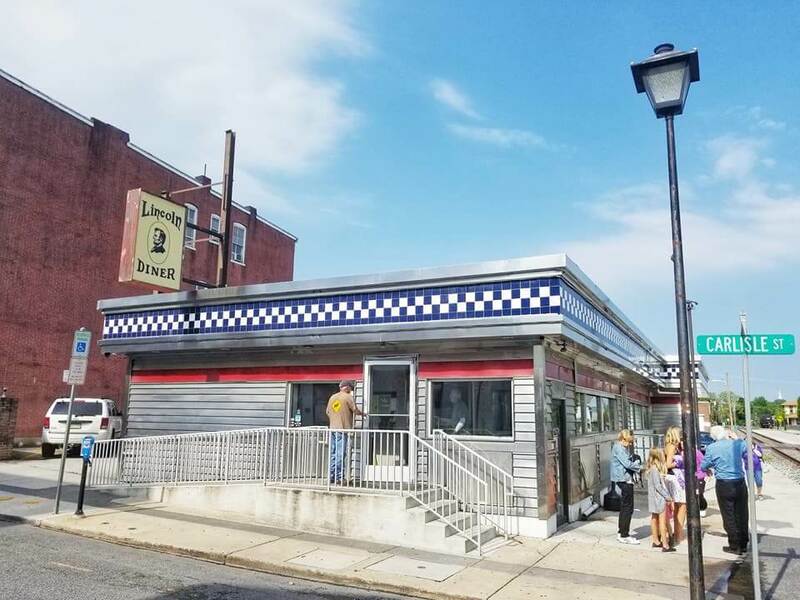 They began in nearby Harrisburg and their Gettysburg location is one of 6 restaurants in Pennsylvania. 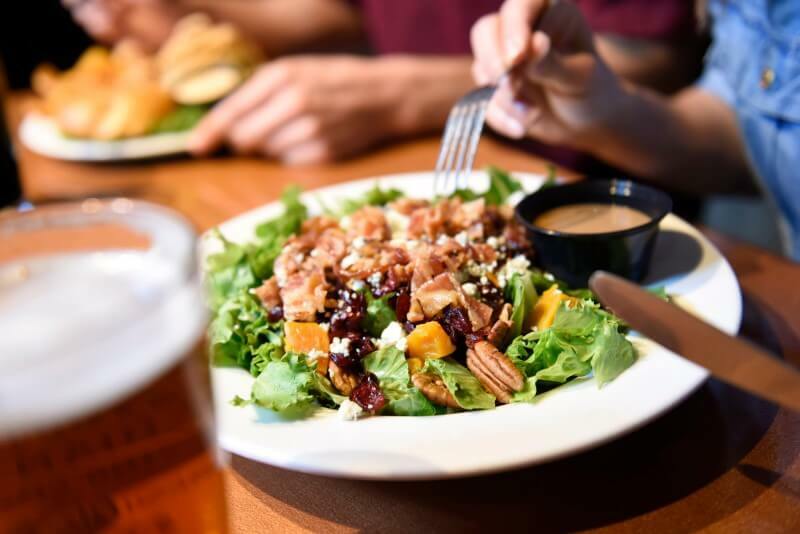 It’s very family friendly, has an innovative brewpub menu and delicious brews. My Nutty Fruity Salad was delicious with greens, crisp apples, Craisins, walnuts and bleu cheese crumbles and happy poppy dressing. There’s a lovely beer garden to the side and they often have live music at the pub. 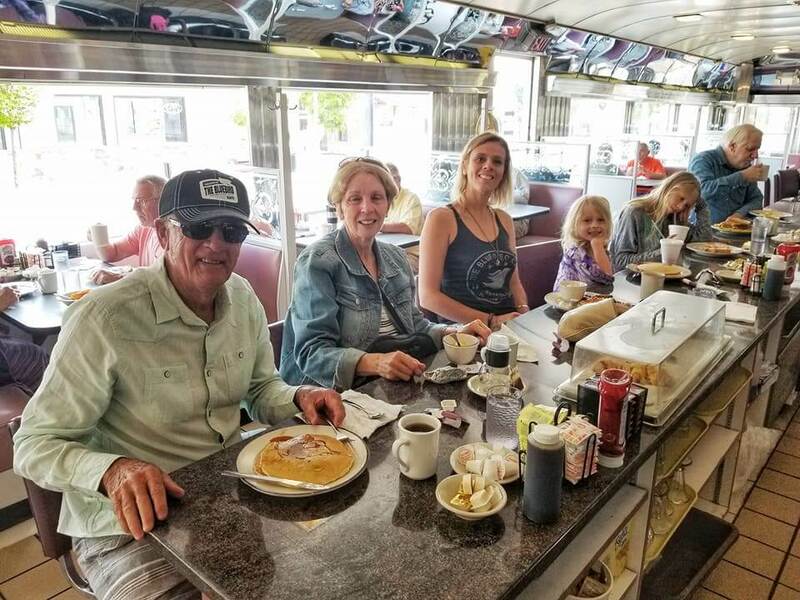 My parents were stoked to walk into the the Lincoln Diner – a 60 year old local’s favorite diner – and see the counter stools. Thankfully, a local moved over so we could all take a seat. It made talking in a party of six difficult, but my parents sure loved the authentic experience and grabbed a couple of photos for evidence. They do really do diners like this in America! It’s diner food so your standard bacon, eggs and hash browns kinda deal. Nothing fancy to report, but the food was pretty good and incredibly cheap, and the service was friendly and fast. This sports bar and restaurant pays tribute to Baseball Hall of Fame pitcher, Eddy Plank who was born 10 years afar the Civil War on his parents farm north of Gettysburg. He had quite the illustrious career ranking 13th on the All Time Win List. Gettysburg Eddies specializes in homestyle dishes, NY-style deli sandwiches, Maryland crab cakes, and burgers. It’s across from the National Cemetery and makes for a casual restaurant lunch. We visited on a Monday evening, and took advantage of the cheaper Steak Night specials. We stayed in a lovely cottage about 15 minutes from Downtown Gettysburg, as guests at the Lodges of Gettysburg. The cottages overlook the countryside with views of the Gettysburg Battlefield in the distance. 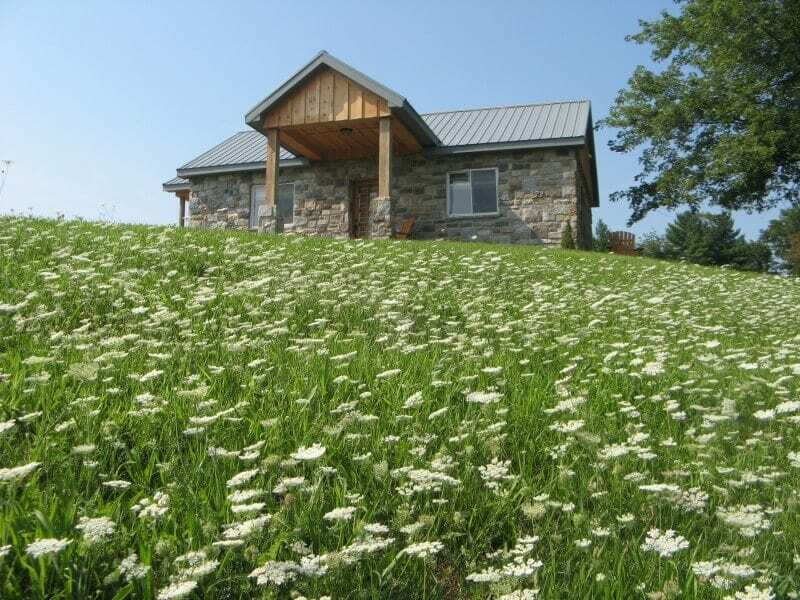 They’re comfortable and quiet and the property has a walking trail and a lovely pond on site. The Lodges are a great option if you have a big traveling party and also want access to your own kitchen. 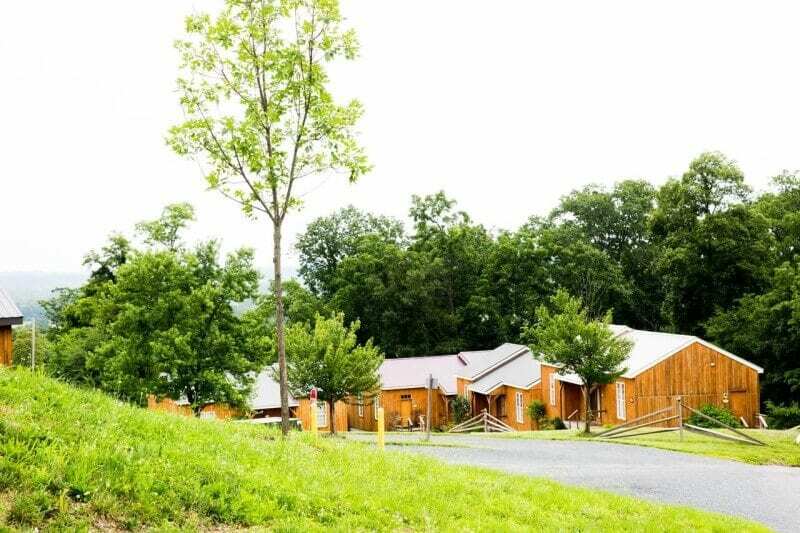 Read more reviews of the Lodges at Gettysburg and book your stay here. 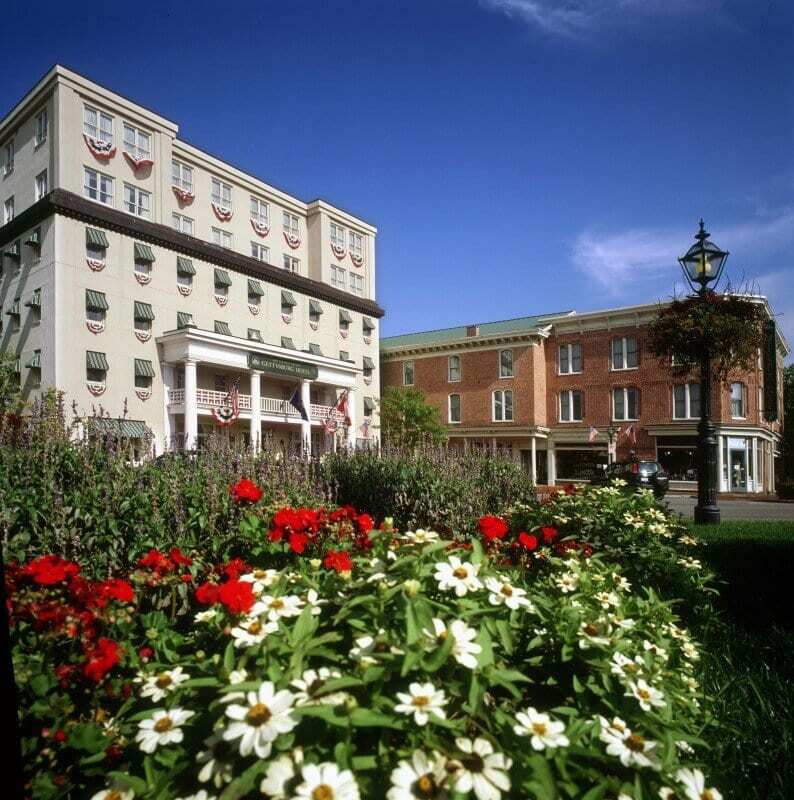 If you want to be closer to the restaurants and attractions in Downtown Gettysburg, then we recommend the Gettysburg Hotel. It’s located on Lincoln Square and is walking distance to most of downtown and a three minute drive to the Gettysburg Battlefields. It was established in 1979, so is a very historic hotel. President Eisenhower and his wife once stayed there. And some residents from a different time and place are said to frequently visit!! Put some thrills and chills into your Gettysburg trip. Read more reviews of the Gettysburg Hotel and book your stay here. Gettysburg looks so rustic and charming! So sorry to hear that you lost some of your photos! I’d have loved to see them. Anyway, your words have created enough visual imagery in my mind about the place. Love such places that are full of history, culture, culinary and nature! Yes, was devastating to lose most of our photos, but we still have the memories stored in our minds. Gettysburg is a very interesting place to visit in the US, consider it for an east coast road trip. Wow! the ghost tour sounds exciting. Loved the blog as always. Thanks for sharing. Being a history buff, I always wanted to go to the Gettysburg battlefield but have never made it. This looks like a definite stop on our next east coast tour. Your post gave lots of information and pictures to tide me over until I finally take the tour. A brew at the Appalachian Brewing Company and breakfast at the Lincoln Diner are on the list of must stops.